A pair of two-year-olds infiltrated my kitchen slowly, winning me over with their shy smiles. My twin girls, Hailey and Robin, pulled their chairs to the counter to watch me prepare dinner, plump fists grabbing any wayward piece of cheese or potato peel. Another day, they reached for the spoon as I stirred pancake batter, wanting to do it themselves. Now, anytime I set foot in the kitchen, my two little sous-chefs are hot on my tail, climbing up to help pour, stir, knead and, of course, sample. Dinner preparation takes a little longer this way, but when I involve my girls, they develop far more than their palate. Early childhood educator and toddler development expert Saima Sheikh says it is about more than just pouring and stirring. “It’s not just the act of food preparation in isolation,” says Saima, an instructor at Toronto’s Humber College. There is silent learning achieved watching molasses pour slowly into batter, grabbing a handful of dried rice and throwing it into the pot, or rolling dough across the countertop. The deliberate manipulation of little fingers as they press the edge of pastry dough into a pie plate develops tactile learning. Reciting the words for new ingredients as you add them to the bowl is an impromptu vocabulary lesson. Toddlers learn about their world first through touch and observation; inviting them to help prepare dinner provides rich sensory experiences. When I first began letting my girls help me bake, I noticed they were drawn to cracking eggs, kneading dough and pressing cookies – all things they could do with their hands. They would try to sneak a sample and run off to play while I finished up. Invite your toddler to become a participant, not just a recipient of meals and snacks. This tells them you value what they bring to the table. It shows them they are capable, and that their efforts are met with the most primal of rewards: food. Cooking has motivated Christine Paré’s two-year-old son Sacha to become more adventurous with what he eats. “He was a picky eater to begin with, and I thought if he knew where food comes from and how it was made, he might be more inclined to eat it,” says Christine, of Moncton, N.B. When they top pizza together, he often snacks on pieces of pepper, broccoli and tomato. Before, he would turn his nose up at those foods when on his plate, she says. Saima says there is no direct proof that including toddlers in meal prep makes them more likely to eat it, but she hears anecdotally that this is true for many families. Allow the process to be fun, messy and enjoyable. This can remove the intimidation of inviting a tornado of a toddler up to the kitchen counter. Kathryn Cuthbertson of Courtice, Ont., found that when she put away expectations, cooking with her kids Reid, 5 and Everett, 2, became a great metaphor for enjoying the moment. “I’m not the most patient person, so involving the kids has really challenged me to slow down, enjoy the process, not worry about imperfection and mess, and make it a fun activity,” says Kathryn. She turns up the music, hands a spatula to her son and lets the breadcrumbs fall where they may. There is a joyful rhythm in a stirring spoon or in a whisk beating eggs. Encouraging our little epicures to appreciate home cooking can start as soon as they can see the countertop. 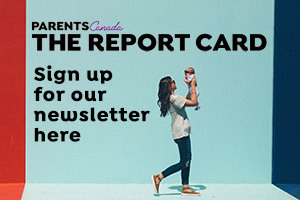 Saima Sheikh, an early childhood educator and instructor at Humber College in Toronto, advises parents to keep expectations low, and start with something simple. “Hold your hand over theirs as they turn a whisk. Showing them how to move their hand, is a slow way to start expanding their attention span,” she says. 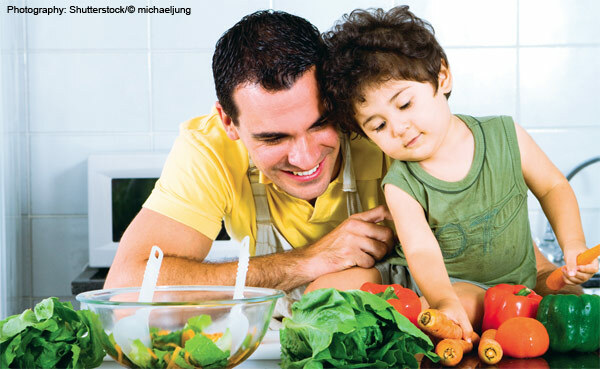 Allow your little gourmand to step in and help with small parts of the meal to engage them meaningfully. Most toddlers don’t tolerate standing still long enough for an entire dish to be prepared. Tearing lettuce for a salad, for example, lasts only a few minutes. When the toddler sees that salad on the table, they learn to connect cause and effect. Not to mention the pride that erupts when they share their work with family. Prepare your workspace by removing any sharp, hot or otherwise dangerous items. Ensure the chair or stool they stand on is sturdy, and allows them to see what is happening on the counter. If possible, move some of the meal prep to a lower surface, such as the kitchen table. Be mindful of spices and peppers that can irritate eyes and skin upon contact. Hold your hand over theirs to show them how to grasp utensils (whisk, spatula, spoon). Make up songs as you go: it helps develop language, and just makes the process more fun! Originally published in ParentsCanada magazine, November 2014. Teaching kids cooking skills is key to healthy eating for life. Cook up a storm with these funky kitchen products.